With age an unpruned Persian parrotia (Parrotia persica) develops an oval- to round-shaped crown. Robert F. Polomski, Ph.D., ©2018, Clemson Extension. Native to the lower mountain slopes of the northern Alborz mountains in northern Iran and Azerbaijan, Persian parrotia (Parrotia persica ) has been widely cultivated in Europe and the U.S. (USDA Cold hardiness zones (4)5b-8b). This deciduous tree, which can reach a respective height and width of 40 and 30 feet, is cultivated for its beauty and durability. In the fall, Persian parrotia leaves turn yellow, occasionally mixed with shades of orange and red. On mature trees the attractive exfoliating bark flakes away to reveal splotches of beige, cream, gray, and brown inner bark. Due to Persian parrotia’s high tolerance to stressful conditions—heat, drought, and poor soils—along with its relative freedom from pest and disease problems, it deserves greater use in landscapes and streetscapes. Mature Height/Spread: Species are quite variable in form. Expect Persian parrotia to grow 20 to 40 feet high and 20 to 40 feet wide. Young trees have an upright, oval habit that eventually widens with age and develops into a round, dome-shaped canopy. The oval to oblong leaves have a wavy, coarsely toothed margin. Growth Rate: Persian parrotia exhibits a slow to moderate growth rate of one to two feet per year. Shoot growth can be accelerated in landscapes with supplemental watering and fertilizing. Apply the appropriate kind and amount of fertilizer based on soil test results. For more information, see HGIC 1652 Soil Testing. Ornamental Features: Persian parrotia is a member of the witchhazel family (Hamamelidaceae) that includes several shrubs that produce eye-catching floral displays in fall, winter, and early spring. Unlike witchhazel, loropetalum, and fothergilla, parrotia flowers are not as showy. The one-half inch wide apetalous (having no petals), red flowers with 5 to 15 strap-like stamens are borne along the leafless branches in late February and March. The flowers are more of a curiosity than a showy attribute and are followed by wooly chocolate-brown seed capsules.. The apetalous flowers are comprised of one-half inch wide clusters of straplike stamens cupped by fuzzy brown bracts. Photo by Alex X. Niemiera, Ph.D., Prof., Virginia Tech. Parrotia compensates for its floral display with its foliage. Its 2- to 3½-inch long witchhazel-like leaves with wavy margins emerge reddish-purple in the spring and mature to medium-green in summer. In the fall, the leaves typically turn yellow, while the color of some species and cultivars include blends of orange and red. Peeling, flaking bark reveals a patchwork of green, white and gray blotches. Robert F. Polomski, Ph.D., ©2018, Clemson Extension.A young parrotia has attractive smooth gray bark. As it ages, the outer bark on the trunk and branches exfoliates to showcase a jigsaw-puzzlelike display of cream, green, gray, and brown inner bark. 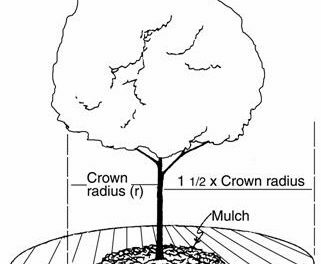 Landscape Use: Parrotia is not finicky about its location, provided it is in full sun to light shade and well-drained soil. Avoid planting in wet poorly drained or waterlogged soils. Parrotia has exceptional tolerance to heat and drought once it becomes established, and is well-suited for low water use locations that include streetscapes, highway medians, parking lots, and above-ground planters. In the landscape, take advantage of parrotia’s ornamental features and shade by using it as a stand-alone specimen or as an accent tree near a deck or patio. Plant parrotia in groups or use it as a backdrop in a mixed border of herbaceous perennials, flowering shrubs, and broadleaf evergreens. Selectively remove the lower limbs to accentuate its attractive, mottled trunk. Problems: Parrotia is relatively pest- and problem-free, provided that the tree is properly sited and planted. Japanese beetle damage has been reported. It tolerates acidic and alkaline soils, extreme heat, drought, wind, and urban conditions. ‘Biltmore’- This clone was derived from a tree in the Biltmore Gardens, which is over 100 years old. It has a broad, densely branched, vase-shaped habit, and a blend of yellow, red, orange, and purple autumn-colored leaves. Persian parrotia at the Biltmore House in Asheville, NC showcases attractive mottled bark on its trunk and branches and a multicolored display of fall foliage. Photo courtesy of Jason Warren, 2015, US Nursery™. Persian Spire™ (‘JL Columnar’ PP#24951) – This cultivar has an upright-oval form and grows 25 feet high by 10 feet wide. The new leaves emerge purple and mature to green. Fall color is orange, red, and yellow. Weeping parrotia (Parrotia persica ‘Pendula’) at the SC Botanical Garden possesses a spreading rather than pendulous habit and attractive red fall color. ‘Pendula’ – Several weeping cultivars are available in the trade that grow 6 to 10 feet high and wide. The best form is ‘Kew’s Weeping,’ a slow-growing, umbrella-like form with cascading branches. The original plant was selected from seedlings at the Kew Royal Botanic Gardens, England in 1934. It reaches a height of 11 feet and a width of 14 feet. ‘Vanessa’ is a vase-shaped cultivar that grows 30 feet high. Photo courtesy of Eric Hofley, Michigan Gardener. ‘Vanessa’ – This vase-shaped cultivar grows 30 feet high and 15 feet wide and has golden yellow fall color. It was named the 2014 Urban Tree of the Year by the Society of Municipal Arborists. Chinese parrotia (Parrotia subaequalis) is native to the high elevation forests (2000 feet) in eastern China, where it reaches a height of 20 to 30 feet. Its peeling bark creates a mottled patchwork of greenish white patches. This rare species produces brilliant red fall color. The growth habit and environmental tolerances are similar to Persian parrotia. Persistent yellow, fall-colored leaves of x Sycoparrotia semidecidua in February at the SC Botanical Garden. x Sycoparrotia semidecidua is an offspring of an intergeneric cross between Parrotia and Sycopsis sinensis. This Asian relative originated around 1950 in Basel, Switzerland. This small tree reaches a height of 10 to 15 feet and tolerates heat and drought as evidenced by plants growing in Aiken, SC and the SC Botanic Garden in Clemson. The semi-evergreen, leathery leaves turn yellow-green to yellow in the fall and persist into winter. Unlike parrotia, its smooth gray bark does not exfoliate. Andrews, S. 2007. Tree of the year: Parrotia. International Dendrology Society Yearbook 2007:6-37. Creech, D. April 4, 2017, “Parrotia persica & P. subequalis – They Don’t Call Them Ironwoods for Nothing.” Dave Creech – Life on the Green Side. Dirr, M. A. 2011. Dirr’s Encyclopedia of Trees & Shrubs. Timber Press, Portland, OR. Dirr, M. A. 2009. Manual of Woody Landscape Plants. 6th ed. Stipes Pub., Champaign, IL. Dirr, M. A. 2012. “Parrotia persica: Every Garden has a Niche for Persian Ironwood”. Nursery Management 28(12):39-41. Grimshaw, J. and R. Bayton. 2009. New trees: Recent Introductions to Cultivation. 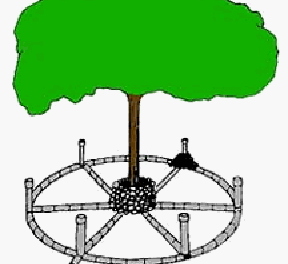 The International Dendrology Society. Royal Botanic Gardens, Kew. Li, J. and P. Del Tredici. 2008. “The Chinese Parrotia: A Sibling Species of the Persian Parrotia.” Arnoldia 66(1):2-9. Nicholson, R. G. 1989. “Parrotia persica: An Ancient Tree for Modern Gardens.” Arnoldia 49(4):34-39. Tripp, K. E. and J. C. Raulston. 1995. Year in Trees: Superb Woody Plants for Four-season Gardens. Timber Press, Portland, OR.